Caption: The boys in the outskirts of the capital. 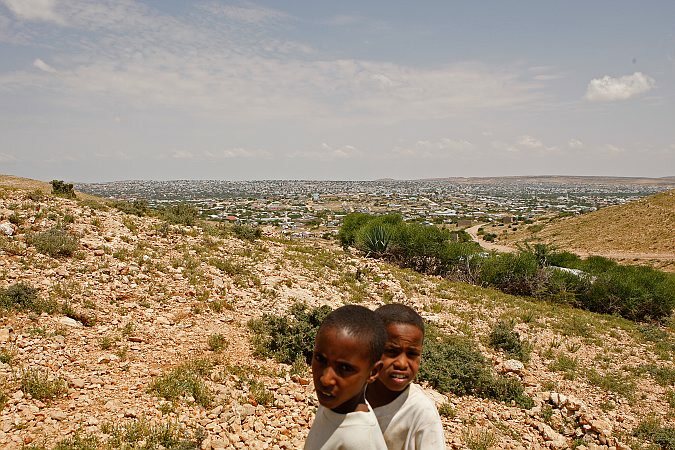 Hargeisa, SomaliLand, Saturday, September 29, 2007. For 16 years Somaliland has already been an actually independent state. It has its own constitution, relatively stable political system and comparatively efficient government, army, police as well as the currency of it's own. Nevertheless not a single country has so far recognized the sovereignty of Somaliland.